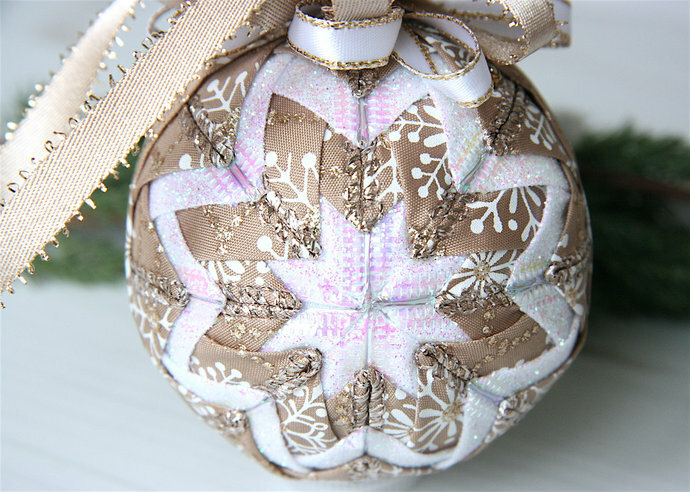 Gorgeous champagne ribbon sprinkled with glittery white snowflakes is layered with sparkling white to create this elegant quilted ornament. 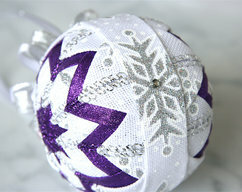 Golden seed beads dot the snowflakes at the top of the ornament. Hangs from bows of gold and white. 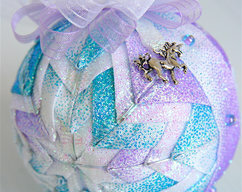 Would make a lovely hostess gift! 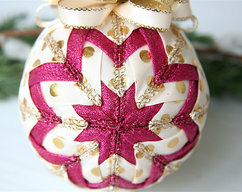 Each approximately 3" quilted ornament is uniquely packaged and includes a dated name card. 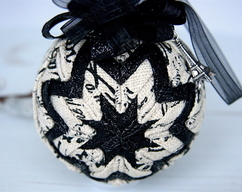 Also attached is a cute little gift tag for your use. NOTE: Our ornaments are not meant for play. They are decoration only, so please do not allow your children, babies or pets to play with them as they may contain pins, beads or other items that may be harmful.